“I had my Mercedes repainted at Bugs, and am very pleased. I found the staff to be very friendly and anxious to ensure my satisfaction. When my son saw the results, he has his truck repaired and painted at Bugs, also very pleased. Now my whole family calls Bugs, their body shop. All you need to do is look at the cars and trucks in front of the shop to see they do quality work. They frequently have very nice restoration projects going on. You do not trust your project car to anyone, these things are hard to find and very expensive to replace. “I was in a minor car accident on the freeway at 345 pm. I believe it was Cal-trans, state or whomever helped tow my car free of charge to the nearest available spot. Kmart off Mariposa in Stockton, ca. Living in Manteca I didn't know if I should tow my car home or call an Autobody shop. I called Bugs. Talked to Nathan, asked him if I could have my insurance take my car right over but he was closing 20 mins. Not enough time. Free of charge he had my car towed to after hrs lot and had it taken to his shop next day. Took all the pressure off me and next I day I could get to claims and rental issues. “My daughter's car was technically totaled according to our insurance company, but they agreed to pay for the repair if we could find a certified auto body shop that would perform the needed repairs for $500 under the salvaged title payout. HUH!!! Boy, I was upset and thought...NO WAY! Then I was referred to Bugs Collision. 'There is a God' and there was a way...Smiles! I was so grateful that they accepted the challenge and not only did they do an awesome job, but they completed the job a day ahead of schedule and the customer service was PHENOMENAL!!!! Nathaniel received my call and listened intently through my tears of frustration and worry. He was very reassuring and agreed to take a look. He called me back in a timely manner and assured me that they could handle the job and would work with our insurance company. My daughter's car is beautiful again and I have a great big smile on my face...no more tears! I'm relieved and ever so grateful and I just wanted to tell the world: If you want awesome professional service, fair pricing and excellence in customer service, go to Bugs Collision -- THEY ROCK!!! I brought my car in on Monday at 5 pm and they were done fixing it by noon the next day! I thought I would have to cancel my plans for that day, but thanks to their quick service, I didn't have to ^_^ The work they did was amazing!! My car looks like it was never in an accident. My front bumper and new side mirror looks and works great! So by a stroke of luck, I found this wonderful place and was able to save a ton of money (I ended up only paying about $230!). I was still a little paranoid, so I asked Nathaniel to check out my tire pressure and my door on the driver's side (I guess it came a little loose after the accident) and he happily took a look at it for me. I also had a mysterious smudge on one of my windows and Nathaniel cleaned it up even though I told him he didn't have to! He took care of my car like it was his own :) I even tried giving him a tip, but he simply wouldn't take it. How many people nowadays would refuse free money?! What an incredibly honest person! I know this is definitely a place that would not overcharge you. 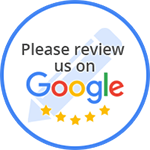 “I was referred to Bugs Collision & Restoration by a friend of mine and they did not disappoint. I wanted the engine bay painted in my 1971 Datsun 510. The trick was it had to match my car's 1971 factory paint code. Not only did they match the paint perfectly, they went the extra mile and painted some of my other parts with the extra paint! That's a great deal and great service! “Nathaniel and his team at Miracle Auto Painting were referred to me by a friend. I had some minor nicks and indentations all over the car, the hood had some major scratches and there was a significant ding on the passenger side. With my car being black, I also wanted to tint the windows and black out the brake and side lights. My car looked awesome and so sleek when I got it back! I am extremely happy with the decision to go with Miracle Auto Painting. Nathaniel picked up my car, helped me find a rental car and even replaced a blown speaker for me. Their prices were more then fair and they did an amazing job. Pros: Great work, friendly and honest staff, minimal cost and a quick turnaround of only a few days.